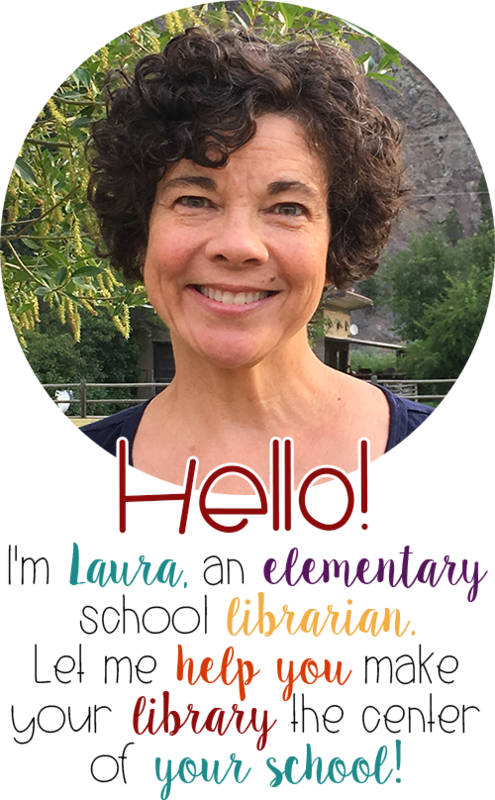 As school librarians, our biggest mission is to connect kids with books they will love. 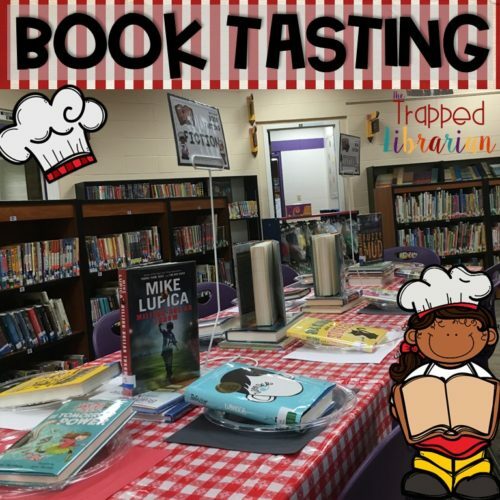 A Book Tasting Event can give your students the opportunity to sample library books that they might not otherwise consider in a fun, festive environment. 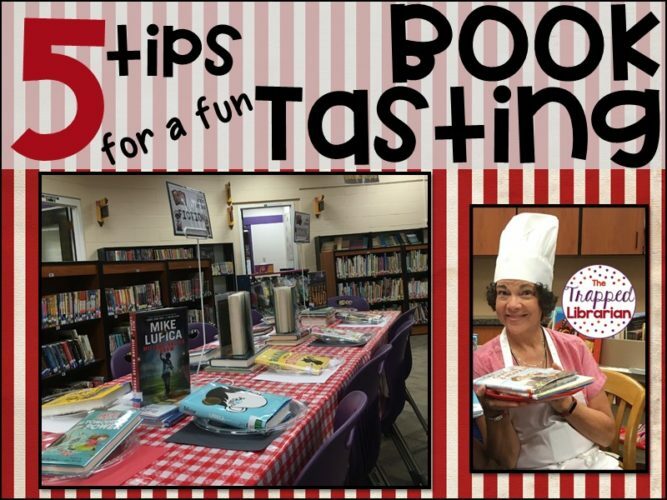 You can have a book tasting at any time of year: it’s fun at the beginning of the school year, anytime you may have a shipment of new books, or at a time when you want to encourage your students to take a look at some titles that are being ignored. 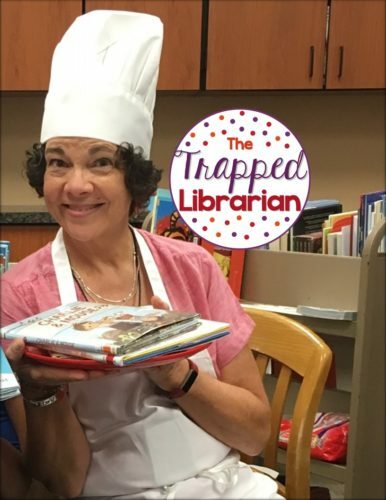 I’ve got 5 tips to help you host a fun, engaging book tasking event in your school library. Give a hint about what is coming up. Post signs that say “Book Tasting Today” or “Book Tasting Next Week.” I am fortunate that my library is in the middle of 10 classrooms and we get lots of traffic several times per day, so when we placed plates of books by our signs, our students started talking about it right away, and would even stop by to ask what was going on. If your school does morning announcements, you could even write up an advertisement to be included in the days preceding your event. Tablecloths, placemats, plates, and battery operated candles will help transform your library into an Italian bistro! You can find these items inexpensively at a Dollar Store. I purchased the red checkered tablecloths and clear plates on Amazon and used black, white, and red construction paper for placemats. Put a book at each place and pile extra books in the middle of the tables. To help enhance the atmosphere, try the “Italian Cooking Music” channel on Pandora! Wear an apron & hot pads, bring cooking utensils, ham it up! I purchased an inexpensive chef’s hat and apron on Amazon that I can keep at school for book tasting occasions. 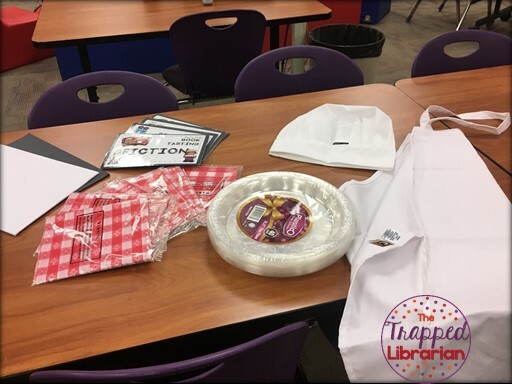 This year, my assistant and I wore our hats and aprons & carried our plates of books into the back-to-school assembly and that really made the students curious about what was going on in the library! I usually categorize the books into the basic areas that we have in the library: Fiction, Nonfiction, Everybody, Biography, Graphic Novels. Another idea would be to divide your books by genre: Realistic Fiction, Historical Fiction, Humorous Fiction, Mystery, Fantasy, Narrative Nonfiction, Informational Text, etc. Place signs at your tables indicating the category of books that are there. The whole purpose of this activity is to get kids excited about books, so I recommend you allow students to choose their seats. If possible, make sure to set more places set than kids in the class so that no one is “stuck” sitting in a last place. Since there are extra books in the middle of the tables, students can easily trade the one on their plate for something more appetizing to them. Every time I stopped the music, it was time for students to move to another spot. I encouraged everyone to try several different tables so they could “taste” a variety of types of books. I used this opportunity to do a quick assessment of my 3rd, 4th, & 5th grade students by creating a menu-like booklet with space for them to fill in the title and call number of two books and tell what they liked best about the books. 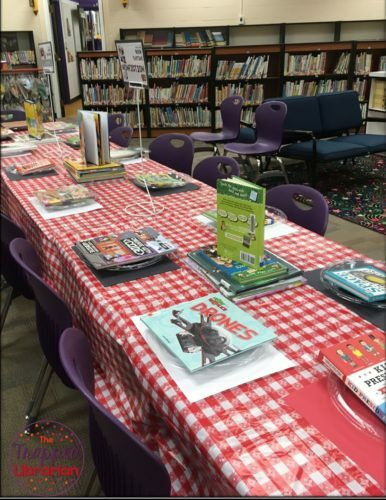 For my younger students (K-2), we did our book tasting kind of like musical chairs. I played the Italian Cooking Radio music and they could walk around and look at covers, then when the music stopped they could sit in a chair near them and look at the book at that place. 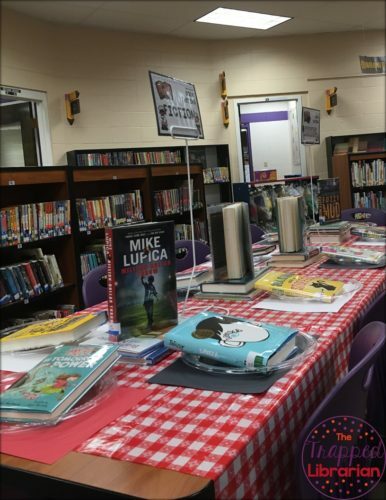 Since I was using new books, I didn’t let anyone check out any of the books until every class had an opportunity to do the book tasting, so I let students place holds for books they wanted to check out (our list was so long – success!). I felt guilty putting on the whole restaurant theme without offering any actual food, so on the way out I gave each student a serving of “Smarty Soup” that I dished out from a big red bowl! 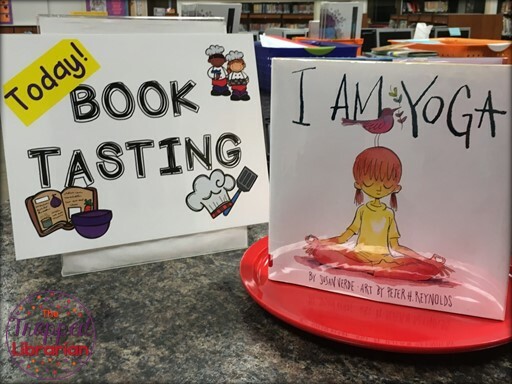 If you would like a little more help with your next book tasting event, take a look at my Book Tasting Event Kit in my Teachers Pay Teachers store! 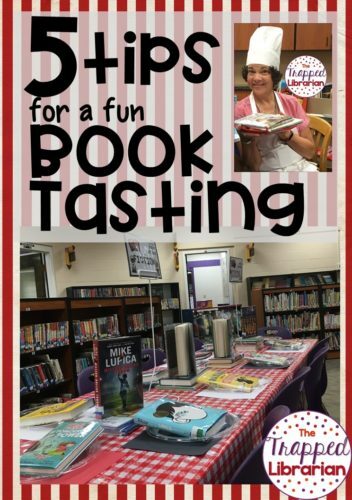 And, as always, I’d love to hear about your experience with a Book Tasting Event in your library! Please share in the comments below! Bulletin Boards: Use Your Powers for Good!